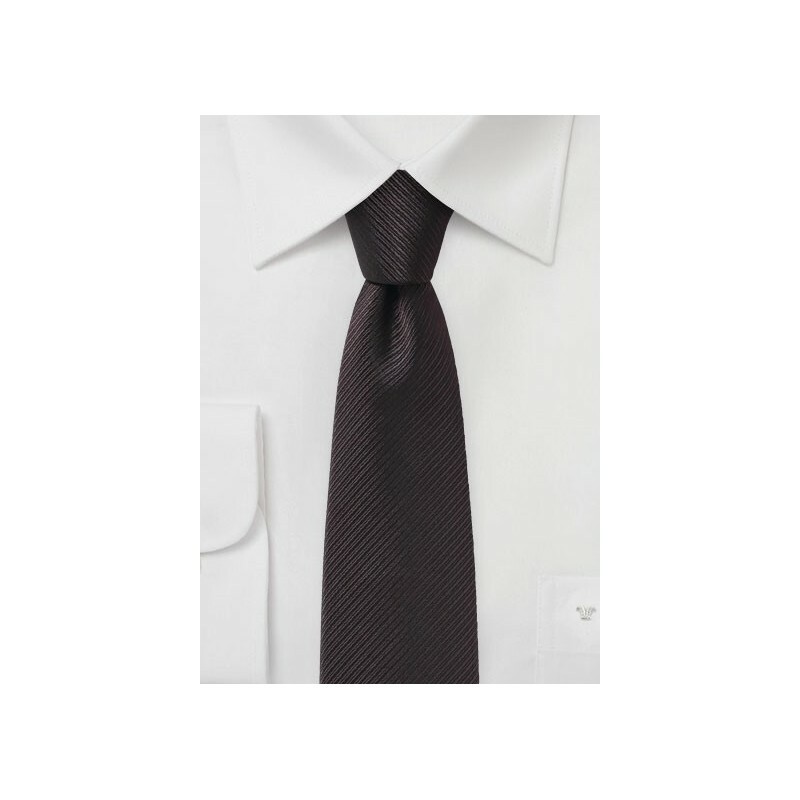 This dark chocolate brown tie is part of a new slim cut tie collection by PUCCINI. The solid color design is combined with whaled textured fabric weave. 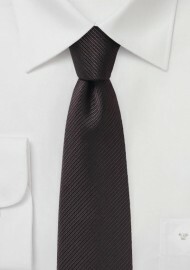 A great tie for Fall looks on top of cream, tan, white, and light blue shirts - either solids or with checks or stripes.